To size up what might make chickens happy in their brief lives, researchers at the University of Guelph, Ontario are putting 16 breeds through physical fitness and behavioural tests. To size up what might make chickens happy in their brief lives, researchers at the University of Guelph in Ontario are putting 16 breeds through physical fitness and behavioural tests. They're watching how well birds scramble over a barrier for food, how skittish they seem and whether they play with a fake worm. "We have to infer when an animal is happy or content or experiencing pleasure based on their behaviour," said Stephanie Torrey, one of the researchers. "It is crazy for anyone to have to remind the industry that birds naturally walk," said Josh Balk, the Humane Society's vice-president of farm animal protection. Balk said the study in Canada will provide important information on what type of chickens might suffer less. 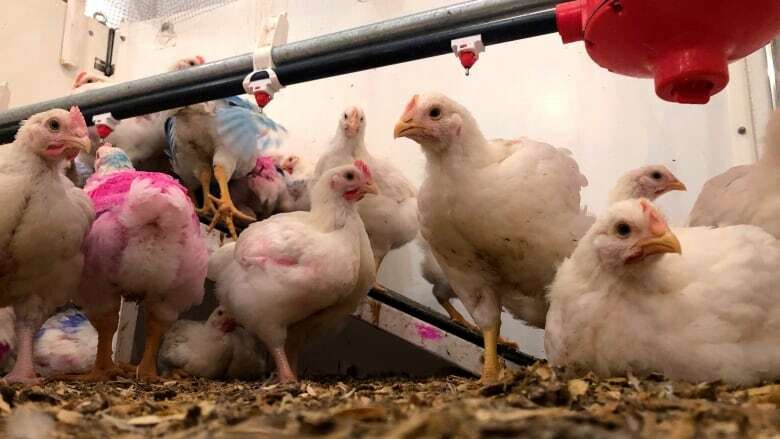 University of Guelph researchers are also tracking chicken traits like weight, growth rate and meat quality they hope will be useful to the industry. 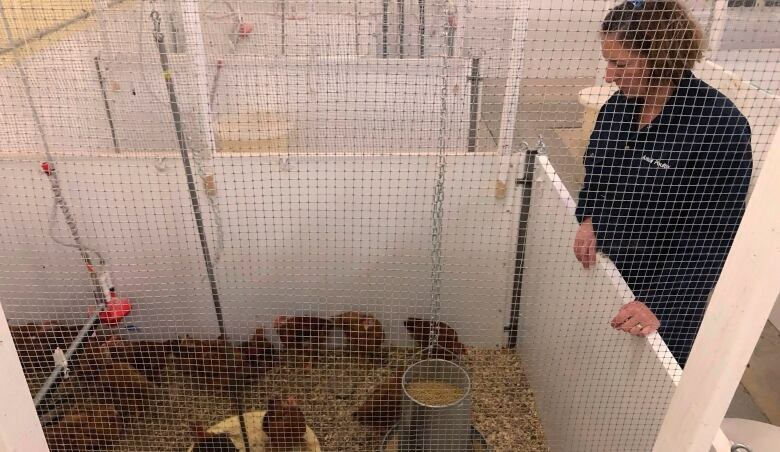 Aviagen and Tyson-owned Cobb, which supply breeds to chicken producers, are providing birds for the study, including breeds that are widely used. Anne Malleau, the group's executive director, notes some of the researchers' tests may seem far out. But she said providing "enrichments" – such as places where chickens can rest or perch – was also seen as a fringe idea before becoming more accepted. Back in Guelph, researchers note that chicken traits can make for marketable imagery. That includes behaviours like their willingness to engage with a fake worm – which they note may be misinterpreted as "playing" – and happiness.